Hatkeshwar Jayanti - When is Hatkeshwar Jayanti in 2019? Hatkeshwar Jayanti is an auspicious day observed by the Nagar Community in North India. Hatkeshwar is Lord Shiva. 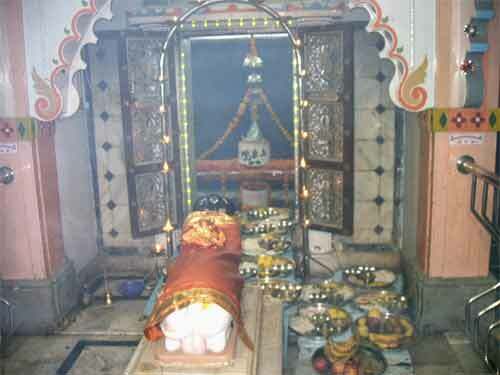 Nagars observe the day Lord Shiva appeared on earth in the form of Hatkeshwar Shivling as Hatkeshwar Jayanti Day. In 2019, Hatkeshwar Jayanti is on April 18. The festival is also known as Hatkeshwar Patotsav and it is celebrated on Chaitra Shukla Chaudas, the fourteenth day during the waxing phase of moon in Chaitra month. It is the date of incarnation of Lord Hatkeshwar. The highlight of the festival includes Satsangs, procession and Mahaprasad. Once creation came to a stand still, everyone went to Shiva to find a solution. Shiva asked them to worship him in the form of a Shivling. Brahma created a Shivlinga made up of gold, i.e Hatak. This shivlinga was called Hatkeshwar. The glory and greatness of this manifestation of Shiva is found in the Nagar Chapter of Skanda Purana. You can read the story of Hatkeshwar Mahadev here in this article.